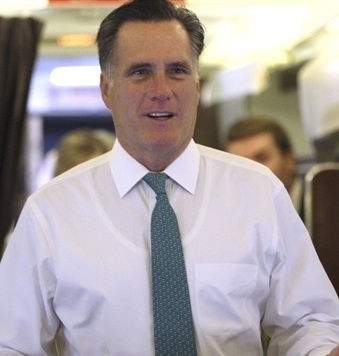 The mainstream media is loathe to cover the touchy topic given Mitt Romney’s presidential bid, but devout Mormons wear special ceremonial underwear called “garments” underneath their clothes as a constant reminder of their faith. The white underwear symbolizes purity and covenants made with God. Mormons consider the garments to be the “protective armor of God,” and believe the underwear provides protection against temptation and evil. The special garments are sold only at Mormon church-owned stores or through Mormon church websites. Men’s undergarments consist of a white, somewhat exaggerated scoopneck undershirt and knee-length boxer-style briefs. Women’s garments similarly cover them from shoulders to knees, with an undershirt that has a sweetheart neck and some tailoring to accommodate the bust. Some people mock the garments by describing them as “magic Mormon underwear,” but Mormons consider them sacred and treat them with the utmost respect. So does Mitt Romney wear this special protective Mormon underwear? It appears that he does. In photos of him wearing white dress shirts, one can see an exaggerated scooped-neck, white undershirt underneath the fabric that looks very much like the photos of the sacred underwear Mormons wear under their street clothes. What are LDS Garments or Mormon Underwear? Due to high interest, this piece was updated on Sept. 23, 2012 with links to additional information on Mormon underwear. I think that when running for President of the USA all of your beliefs are fair game. This is over the edge and not comparable to Lieberman’s outerwear or a Catholic symbol. Other religions will speak openly about them and their meaning. There is too much secrecy about this religion. Other religions are proud of their beliefs, but Mormons are not. Okay, and so what if he does? Exactly what is the point of your above post? If you are trying to mock Romney for it, you’ve failed. Or are you trying to make everyone aware of a man’s underwear, as if it has any bearing whatsoever upon how he is as a leader? Until you have first-hand knowledge of that which you speak of, you might want to reconsider before posting. Religious rituals are important in understanding who a person is and what their values are. If someone running for office had a religious ritual that involved, say, the sacrifice of live animals, strict avoidance of using established medical practices to address illness or solely hoping or praying that a solution to a problem will appear instead of actively working to find a factual or science-based answer, that would be an important thing to know. Given this, I think the underwear is fair game. Religious underwear, like Mitt Romney wears, and religious outerwear, like Joe Lieberman wears, may have no bearing on one’s ability to govern. What galls atheists is that these guys can get elected to high office no matter what imaginary being they honor with their clothing while atheists who take responsibility for getting things right without divine aid are considered unelectable.